Reliance Nippon Life Insurance Company is one of the leading insurers in India. It is known to serve more than 10 million customers and has a distribution network of over 700 branches. It boasts of an incredible claim settlement ratio, which currently stands at 94.53%. 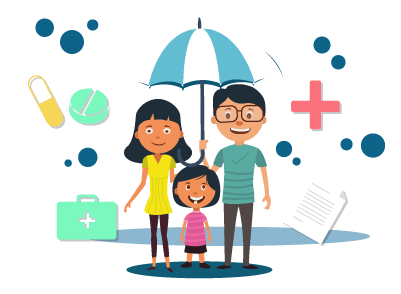 The insurance company also boasts of an extensive customer care service and both existing and new customers can approach a customer care service executive by calling the toll-free number, sending an email, or also by visiting the nearest branch available in their area. An existing or a new customer can get in touch with a customer care executive by calling the toll-free numbers - 1800 102 1010 or 1800 300 08181 anytime between 9:00 a.m. and 6:00 p.m. from Monday to Saturday except on national holidays. Customers who stay outside India can call (+91) 022 4882 7000 to get in touch with a customer care executive. Those people who want their claim-related issues to be clarified can call 022 3000 2700. In case the customer is unable to get in touch with a customer care executive through the toll-free number, he/she can dial 022 3033 8181 which is the call center number. The facility is available 24x7 and a customer can get in touch with an executive as per his/her convenience. A person with any query can also send an email to rlife.customerservice@relianceada.com. An existing or a new customer can avail this facility by visiting the ‘Contact Us’ section of the insurance company’s official website. On the left-hand side of the page, one can click on the ‘Get a Call Back’ tab. The person will have to enter his/her name, email ID, mobile number, state, city, and the product to which his/her is query related. He/she will have to agree with the terms and conditions agreement clause before clicking on the Submit button. Following that, a customer care executive will get in touch with the customer. Step 1: The customer can dial the toll-free number, send an email, use the callback facility, visit the nearest branch, or write a letter and post it to the company’s registered address in case of any complaints. Step 2: If the person does not receive any response within 10 days of the date of the complaint, he/she can contact the manager of his/her nearest branch who is also the Grievance Redressal Officer. Step 3: If the customer is still not satisfied with the solution offered, he/she can contact Mr. Santosh Ranade, the Head of Customer Care by sending an email to rnlife.headcustomercare@relianceada.com or send a mail via post to the registered office address. The customer can also get in touch with the Grievance Redressal Officer, Head of Legal and Compliance by sending an email to rnlife.gro@relianceada.com or send a mail via post to the registered office address. If the issue still remains unsolved, the customer can then approach an Insurance Ombudsman Officer to get it resolved.